02 | October | 2012 | Through the seasons before us..
Forest vs. Blackburn Rovers preview..
After the disappointment of Sunday we could probably do without Rovers turning up at the City Ground a few days later. The Lancashire side have yet to lose on their travels, and have finally parted company with the much maligned Steve Kean. Their first game without him saw them get a draw against Charlton at the Valley. From having almost too much choice Forest start to look a little light on options – Blackstock and Guedioura are banned thanks to red cards, and Simon Cox has amassed enough bookings already in order to get himself suspended for a match, whilst Marcus Tudgay is out after double hernia surgery and Sam Hutchinson remains a doubt with his injury to the knee. So it would seem we are suddenly might light on options up front – a great opportunity for Billy Sharp to hopefully start banging in the goals, and of course a potential for Jermaine Jenas to make his second Forest debut. I harbour a hope that we might also see a resurrection of Raddy Majewski to the first team to add a bit of much needed craft and guile to our midfield. Rovers, on the other hand, have no fresh injury or suspension worries – the mysterious half-time substitution of Gael Givet at Charlton was apparently ‘neither tactical nor due to injury’ according to Eric Black. Longer term injury victims are Leon Best and Markus Olsson – there’s a chance that Colin Kazim-Richards might have recovered from injury to feature. It will prove a tricky fixture, I fear – I must admit having seen us struggle to create much by the way of meaningful chances against Leeds and Derby it would seem a tough ask to expect better against Blackburn, who I think will prove a better team than those two. An interesting dilemma for Sean O’Driscoll to ponder – whilst it’s still too early to be looking at league tables, we are undoubtedly heading to the wrong end of it at present. 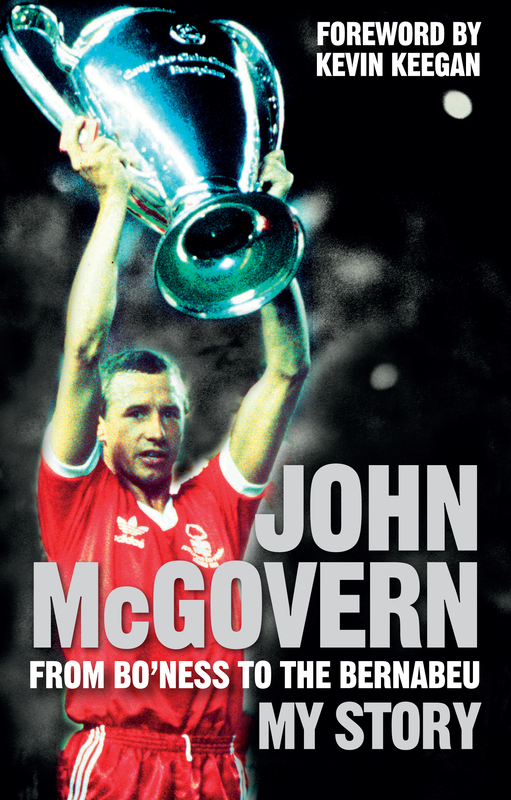 Anyway, whilst I must confess to not hugely looking forward to the prospect, I am looking forward to the chance to see John McGovern at The Approach on 11th October. He’s doing the usual ‘Evening with..’ type night as an opportunity to plug his new autobiography. If you’ve never spent time in John’s company then you really should, how often can you say you’ve had a chinwag with a double European Cup winning captain? Details for the event are here should you fancy grabbing a ticket – just £15 will get you in and a signed copy of John’s book. The other thing I wanted to plug was the fantastic challenge being undertaken by Forest fan Rowan Staszkiewicz, who is going to be running from the City Ground to various Forest away matches throughout the season, starting with the Peterborough vs Forest match on the 4th October. He’s supporting Prostate Cancer UK because of the partnership the charity has with the Football League, and also the Alzheimer’s Society. Running. 55 miles. That’s incredible. If you’d like to sponsor Rowan then you can do so here. I shall be doing so shortly, a really brave challenge for two fantastic causes. Best of luck to you, Rowan!